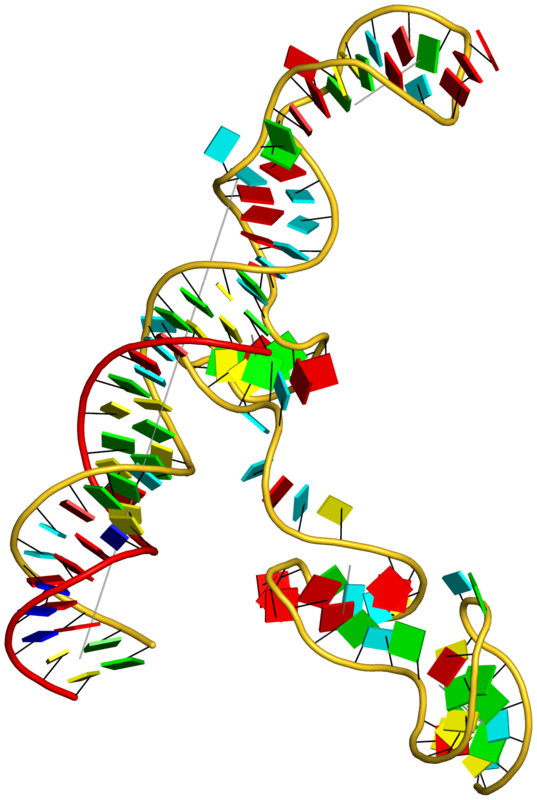 Figure 6: DSSR applies to RNA-DNA hybrid structures, such as the CRISPR Cas9-sgRNA-DNA ternary complex (chains B and C, PDB id: 4oo8 (47)). (A) The software identifies five helices (depicted by gray lines) and six stems (annotated) in the structure. 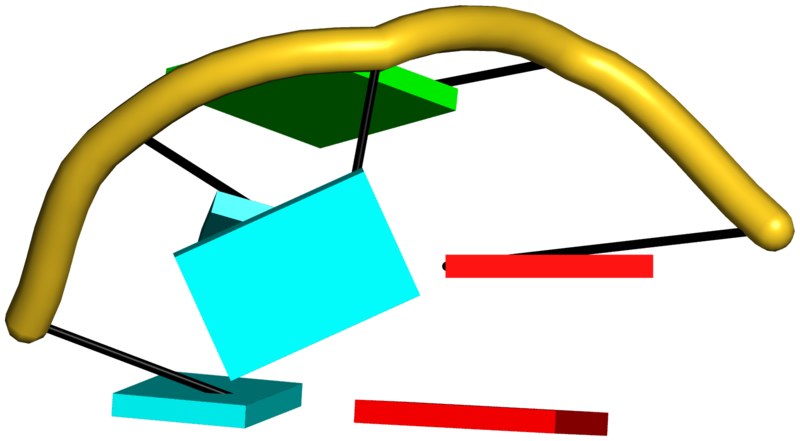 The longest helix includes the RNA-DNA hybrid duplex (S1, depicted by intertwined gold-red backbone tubes) and the repeat:anti-repeat RNA stem (S2). 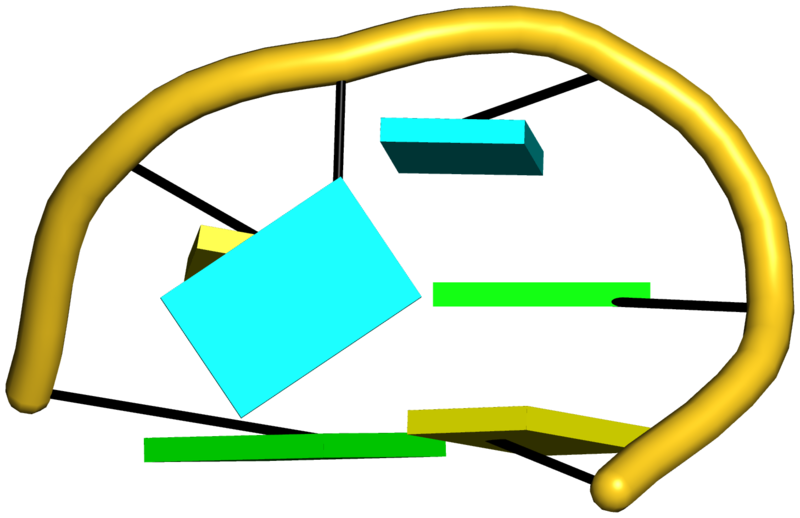 (B) The secondary structure diagram, derived using DSSR, shows that the hybrid structure does not form a ‘closed’ junction loop. DSSR classifies the CUAG hairpin loop as a diloop (instead of a tetraloop) because the C and G form a Watson-Crick pair that closes the loop, leaving only a two-nucleotide (UA) loop segment. 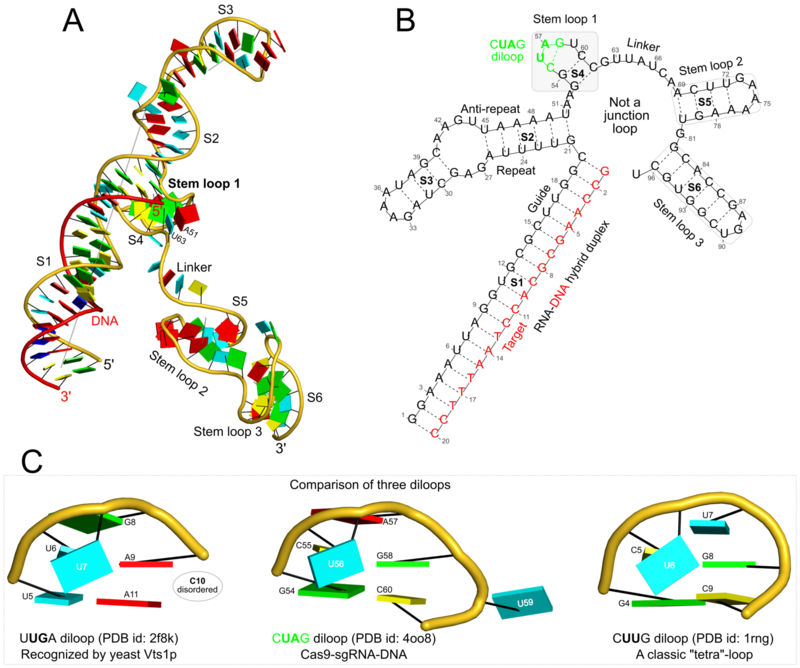 (C) Comparison of the CUAG diloop (center) with the UUGA diloop from a yeast Vts1p-RNA hairpin complex (referred to as part of a pentaloop(59), left) shows the remarkable similarity between the two loops despite the large difference in their base sequences. The CUAG diloop also shares common features with the NMR solution structure of the classic CUUG diloop(60) (often called a tetraloop, right), including the flipped out second position U and the stacking of the closing C–G pair over a neighboring G–C pair. The diloops differ, however, in terms of the inter-pair twist angle at the GpC dinucleotide step. These three images are oriented in the frames of the purines stacked above the terminal nucleotides (A9-left; G58-middle; G8-right) with the minor-groove edges facing the viewer. Here is the tarball (fig6-CRISPR-Cas9-4oo8.tar.gz) with the script and all related data files. The content of the full script (named tasks) is shown below. Please see also notes for "Figure 2 -- analysis of the yeast phenylalanine tRNA (1ehz)". # structure diagram, exported as .svg for annotation in Inkscape.